An updated BMW i3 with a range of 192 miles will go on sale in December with prices starting at £35,180. BMW has fitted a bigger 120Ah battery to its electric car - double the size of the one originally fitted when the i3 was launched in 2013. The batteries, which are located underneath the i3’s floor, aren’t physically any bigger than those used in the current model. Developed in partnership with Samsung, BMW says the new batteries will provide a real-life range of 160 miles - almost 30 per cent more than the previous 94Ah model. Under new WLTP fuel economy tests, the new i3 provides a range of 192 miles, while the old NEDC tests provide a range of 223 miles and 214 miles for the i3 and sporty i3S respectively. Using a Wallbox charger at home will charge the battery to 80 per cent in less than five hours, says BMW. A standard three-pin socket will take the i3’s battery to 80 per cent in 15 hours. While out and about, i3 drivers will be able to use rapid charging stations to reach 80 per cent in 42 minutes. With 170PS, the BMW i3 will cover 0-62mph in 7.3 seconds while the i3S takes 6.9 seconds - the same as the outgoing models. 50 to 75mph takes 5.1 and 4.3 seconds respectively, while the i3 tops out at 93mph and i3S at 99mph. 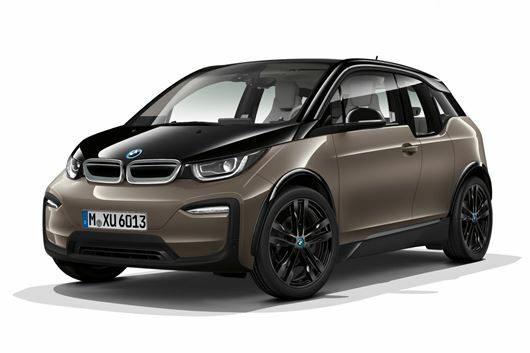 As well as updates to the batteries, the BMW i3 and i3S will be offered with new exterior and interior colours for 2019. Adaptive LED headlights are now available as an option, as is a wireless phone charger. The updated BMW i3 starts at £35,180 and i3S at £37,670 with orders opening in December 2018. What is the capacity of the battery in KWh ? The capacity in Ah doesn't have any meaning without knowing it's voltage ! !